It’s Wednesday! Which means it’s time to post something for the Summer Fest 2010! This week’s theme is corn. Those of you who stop by here regularly know that I am particular when it comes to corn. Allow me to be a punk and say “the Persian way is the best way” when it comes to corn on the cob! Precisely because of that, I am going to feature my original corn post once again to further promote and share the best way: Balal ~ Corn, The Persian Way! 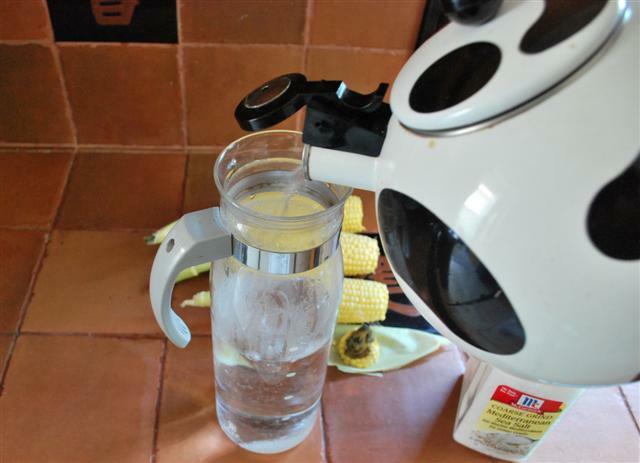 Fill up a carafe or a large bowl with hot water half way through. Add 2 tablespoons of salt. Mix until water and salt are well incorporated. You can either grill the corn or just place on top of you burner. Either way is fine. 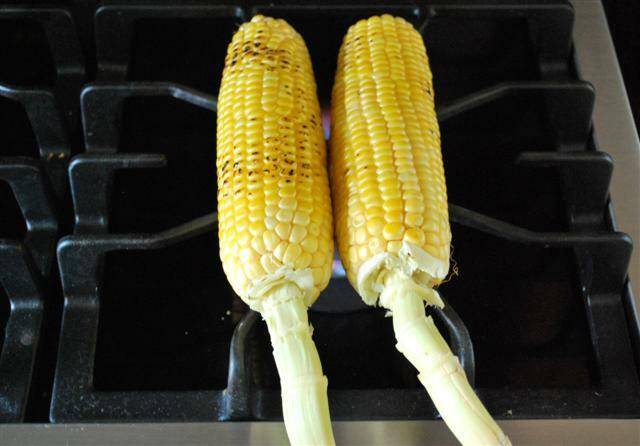 Make sure that you turn the corn every few minutes of even cooking on each side. The color of the corn will change to a deep yellow. It goes pretty quickly so make sure that you keep an eye on it so that the corn doesn’t burn. The whole process takes less than 10 minutes. Once your corn is ready, submerge the whole thing in the water for a few seconds then remove. I know this sounds strange if you are non-Persian, but trust me, it is so good this way. 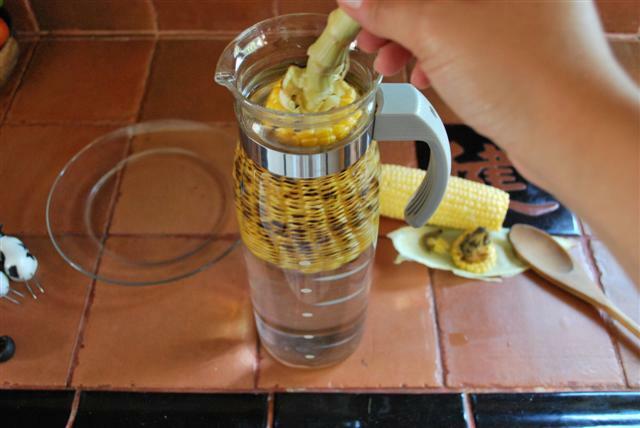 Once you take the corn out, the water will evaporate pretty fast as both the corn and water are hot. Marilyn, I love cooking on a gas stove too!! It quite an adjustment while I was in Maui to cook on an electric stove!! Mmmmm…yum! We just made some of this on the grill on Saturday. Delicious! Though I like dunking it in the saltwater before too. So good! Fascinating! Can’t wait to try it. 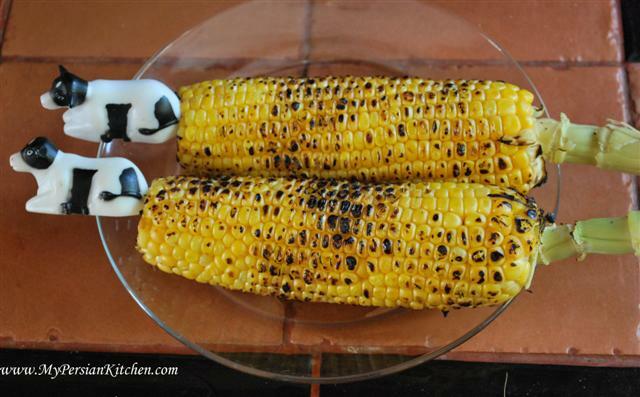 The corn looks delicious, what a wonderful way to prepare it! you bring back sweet memories of summer in Iran !